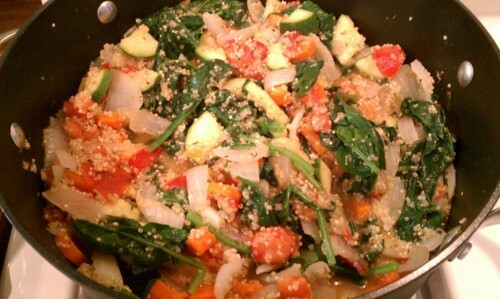 Cooking with Quinoa… a fun grain! 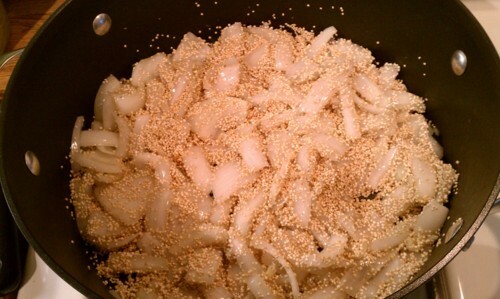 Ever since I came across quinoa, I’ve been interested in recipes that I come across that use it. It’s a very small seed and when you cook it up, it opens up and looks like a little spiral. 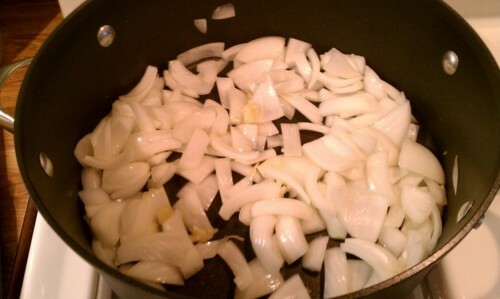 Tonight I used this recipe but modified it to my taste of course. I added zucchini, garlic, some left over vegetable broth, more thyme, oregano from the garden, and a special spice mix that I got at the Savory Spice Shop on 6th Street. After the liquid was absorbed, the tomatoes and spinach were mixed in. I had a bit too much spinach and had to take some out. Whoa, so much spinach! 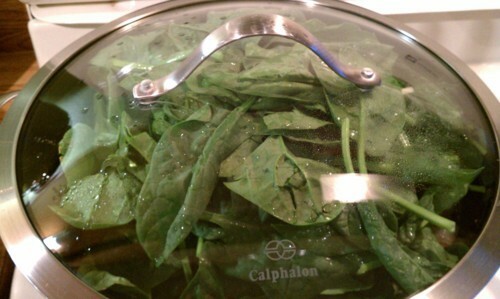 Once the spinach was fully cooked down, I served it with some shredded Parmesan on top. 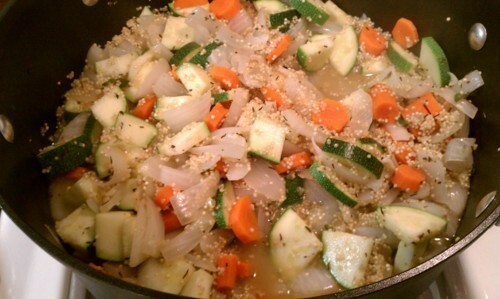 Not bad for a light summer time meal, but I’m still trying to figure out how to get more flavor in quinoa dishes. 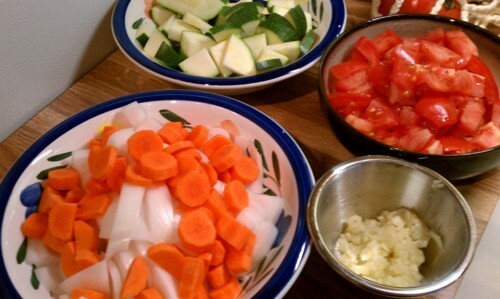 Look at all of those colors – such a healthy dish!